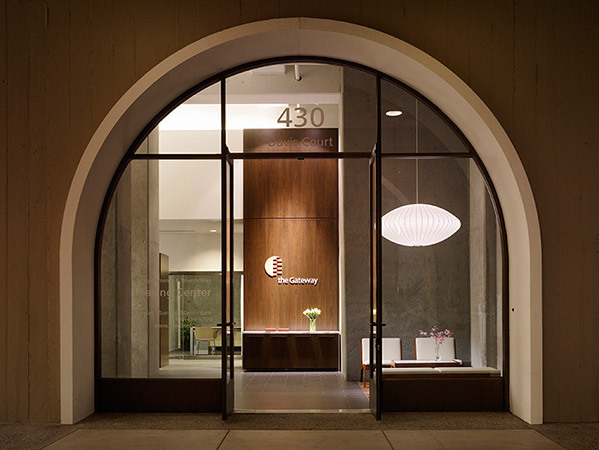 As part of the Gateway Apartment’s major rebranding, this new leasing center was intended to help reposition the historical rental complex to compete with nearby luxury condominium towers. 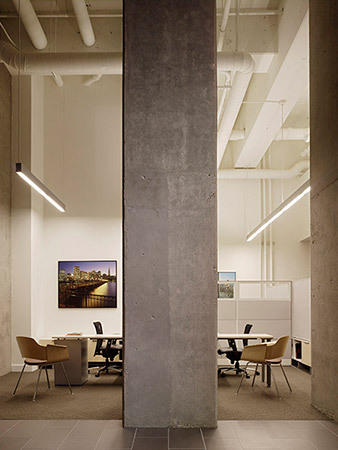 The major design move was to open up the space to the massive two-story concrete columns that support the apartment’s 22 concrete floors above. 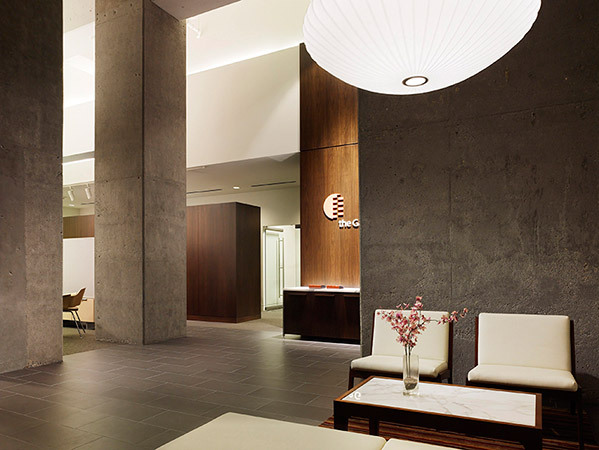 The formerly painted columns were sandblasted to expose their aggregate while walnut paneling, porcelain floor tiles, and inset rugs combined to create an interior that conveys both timeless luxury and simplicity.